Thanks for being here. Here is my involved project: Apache Harmony, my technical blog, my email , and my PGP key. 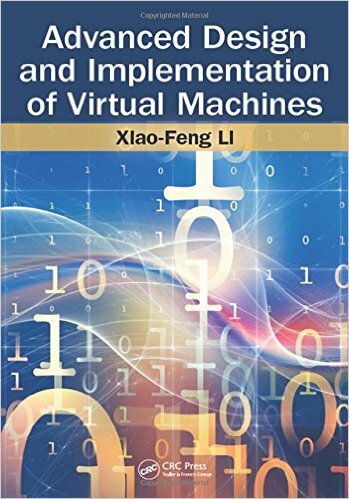 A book written by me: "Advanced Design and Implementation of Virtual Machines" (464 pages) published by CPC Press. (2013-02-10) Some friends found this presentation was useful to them: A very brief history of Intel CPU microarchitectures. (2012-10-11) I gave a presentation to a software group: Managed Runtime Technology: General Introduction. (2012-09-18) I gave a presentation to a research lab: Android overview - from a system design perspective. Overall methodology of quantify and optimize User Interactions with Android devices (Some details). The Android Workload Suite used for Android user interactions evaluation (Some details). The Android UXtune toolkit used to assist the analysis and optimization of Android user interactions (Some details). (2009-04-12) I prepared a quick guide on Tick design, the Harmony concurrent GC, for any people who are interested in Tick or in concurrent GC implementation. (2008-08-01) I presented one of the Harmony GC algorithms: A Fully Parallel LISP2 Compactor, at LCPC2008. The compactor is used in certain collection scenarios. (2008-04-09) I wrote a quick hacking guide on Harmony GC, hoping it is useful for people interested in GC development. It is only a start though. (2008-03-28) I gave a talk on Parallel Garbage Collection in Shanghai Many-Core Workshop2008, arranged by gelato.org. (2007-10-01) We prepared a design overview on DRLVM, the JVM of Apache Harmoy, for OSSummit Asia 2007. (The conference was moved to 2008). (2007-04-22) I wrote an overview on Harmony GCv5 design on its current status. Xiao-Feng Li, Yong Wang, Jackie Wu, Kerry Jiang,and Bing Wei Liu, Mobile OS Architecture Trends, Intel Technology Journal, 16(4):178-198, November, 2012. Shaoshan Liu, Jie Tang, Ligang Wang, Xiao-Feng Li, and Jean-Luc Gaudiot, Packer: Parallel Garbage Collection Based on Virtual Spaces, IEEE Transactions on Computers, 61(11):1611-1623, November, 2012. Xi Qian, Guangyu Zhu, Xiao-Feng Li, Comparison and Analysis of the Three Programming Models in Google Android, First Asia-Pacific Programming Languages and Compilers Workshop (APPLC), in conjunction with PLDI 2012, Beijing, China, June 14, 2012. Lijuan Xiao,Xiao-Feng Li, Cycler: Improve Heap Management for Allocation-intensive Applications with On-the-fly Object Reuse, Parallel and Distributed Computing and Systems(PDCS 2011), Dallas, US, Dec 14-16 2011. Yunan He, Chen Yang, Xiao-Feng Li, Improve Google Android User Experience with Regional Garbage Collection, IFIP International Conference on Network and Parallel Computing (NPC 2011), Changsha, China, Oct 21-23, 2011. Jiu-tao Nie, Buqi Cheng, Ligang Wang, Xiao-Feng Li, Vectorization for Java, IFIP International Conference on Network and Parallel Computing (NPC 2010), Zhengzhou, China, Sep 13-15, 2010. Xiaoming Gu, Xiao-Feng Li, Buqi Cheng and Eric Huang, Virtual Reuse Distance Analysis of SPECjvm2008 Data Locality, 7th International Conference on the Principles and Practice of Programming in Java (PPPJ09), Calgary, Alberta, Canada, Aug 27-28, 2009. Shaoshan Liu, Ligang Wang, Xiao-Feng Li, and Jean-Luc Gaudiot, Packer: an Innovative Space-Time-Efficient Parallel Garbage Collection Algorithm Based on Virtual Spaces, The 23rd IEEE International Parallel & Distributed Processing Symposium (IPDPS 2009), Rome, Italy, May 25-29, 2009. Shaoshan Liu, Ligang Wang, Xiao-Feng Li, and Jean-Luc Gaudiot, Space-and-Time Efficient Garbage Collectors for Parallel Systems, ACM International Conference on Computing Frontiers (CF 2009), Ischia, Italy, May 18-20, 2009. 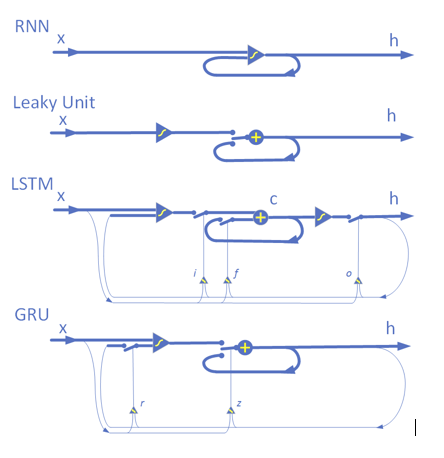 Qiong Zou, Xiao-Feng Li, and Long-Bing Zhang, Runtime Engine for Dynamic Profile Guided Stride Prefetching, Journal of Computer Science and Technology, 23(4): 633-643 July 2008. Xiao-Feng Li, Ligang Wang, and Chen Yang, A Fully Parallel LISP2 Compactor with Preservation of the Sliding Properties, Languages and Compilers for Parallel Computing (LCPC) 21st Annual Workshop, Edmonton, Alberta, Canada, July 31-August 2, 2008. Ming Wu and Xiao-Feng Li, Task-pushing: a Scalable Parallel GC Marking Algorithm without Synchronization Operations. IEEE Inter. Parallel and Distribution Processing Symposium (IPDPS) 2007, Long Beach, CA, March 2007. Chunrong Lai, Volosyuk Ivan, and Xiao-Feng Li, Behavior Characterization and Performance Study on Compacting Garbage Collectors with Apache Harmony., The Tenth Workshop on Computer Architecture Evaluation using Commercial Workloads (CAECW-10) held with HPCA-13. Phoenix, AZ, February 2007. Lixia Liu, Xiao-Feng Li, Michael Chen, and Roy Ju, A Throughput-Driven Task Creation and Mapping for Network Processors, 2007 International Conference on High Performance Embedded Architectures & Compilers (HiPEAC 2007), Ghent, Belgium, January 2007. Xiao-Feng Li, Chen Yang, Zhao-Hui Du, Tin-Fook Ngai, Exploiting Thread-Level Speculative Parallelism with Software Value Prediction. The 10th Asia-Pacific Computer Systems Architecture Conference 2005 (ACSAC05): 367-388, Singapore, October 24-26, 2005. Tao Liu, Xiao-Feng Li, Lixia Liu, Chengyong Wu, Roy Ju, Optimizing Packet Accesses for a Domain Specific Language on Network Processors. The 18th International Workshop on Languages and Compilers for Parallel Computing (LCPC 2005), Hawthorne, NY, USA, October 2005. Michael K. Chen, Xiao Feng Li, Ruiqi Lian, Jason H. Lin, Lixia Liu, Tao Liu, Roy Ju, Shangri-La: Achieving High Performance from Compiled Network Applications while Enabling Ease of Programming, Programming Language Design and Implementation 2005(PLDI'05), Chicago, IL, June, 2005. Xiao-Feng Li, Zhao-Hui Du, Chen Yang, Chu-Cheow Lim, Tin-Fook Ngai, Speculative Parallel Threading Architecture and Compilation, The 4th Workshop on Compile and Runtime Techniques for Parallel Computing, held in conjunction with the ICPP'05, Oslo, Norway, June 2005. Du, Zhao-Hui; Lim, Chu-Cheow; Li, Xiao-Feng; Yang, Chen; Zhao, Qingyu and Nagi, Tin-Fook. A Cost-Driven Compilation Framework for Speculative Parallelization of Sequential Programs. Programming Language Design and Implementation 2004(PLDI'04), Washington, DC, June 9-11, 2004. Li, Xiao-Feng; Yang, Chen; Du Zhao-Hui; Ngai, Tin-Fook; Software Value Prediction for Speculative Parallel Threaded Computations, First Value-Prediction Workshop, held in conjunction with ISCA-30, San Diego, California, June 7, 2003. 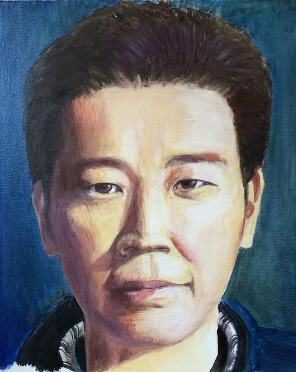 My portait (in about 2005) doodled by myself. A stone seal I cut for my name. Learning Perl (Chinese version), which was translated by me from English. A programming bestseller in China. Linux Device Drivers (Chinese version), translated by LisoLeg from English. I was a core member of it. Disclaimer: All the content under http://home.apache.org/~xli/ is my personal opinion, and does not reflect that of ASF, my employer, or anyone else. All the content and trademarks on this site under http://home.apache.org/~xli are the properties of their respective owners.